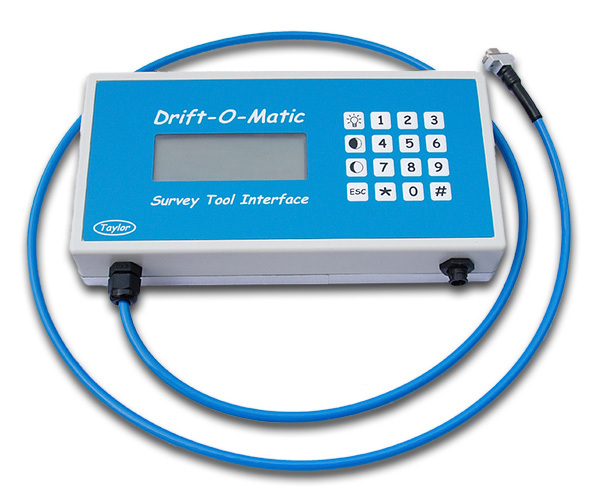 The Drift-O-Matic survey tool is a precision instrument designed to provide accurate inclination surveys. The system self calibrates at the same time as the survey is taking place, eliminating any temperature related drift errors. The sensor can measure angles up to 65 degrees, a much wider range than any other system. This means one tool can meet all your drift surveying needs. To provide the highest possible reliability, every system includes two sensors and two user interfaces. This means you never have to shut down while you wait for a spare part to be couriered out to the rig. Having an extra sensor provides an excellent means of double checking unexpected results. The fully electronic design has proven itself in the field to be more reliable than delicate mechanical systems. The hand held interface provides a very user friendly and simple means of setting up or reading a survey. The exact survey reading is displayed on an easy to read backlit LCD display. 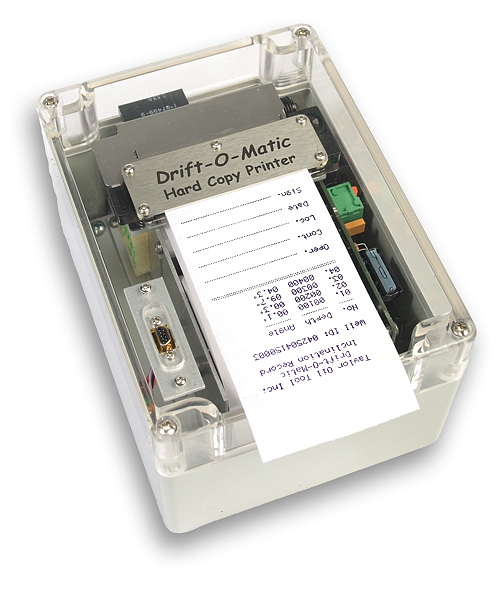 A rugged ‘zero maintenance’ portable printer is included with every system to allow a hard copy of the complete survey record to be produced at the end of each well.